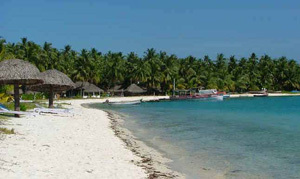 Lakshadweep is a group of islands in the Laccadive Sea, 200 to 440 kilometres off the south western coast of India. The islands form the smallest Union Territory of India, their total surface area is just 32 square kilometres. At the 2011 Indian census the population of the Union Territory was 64,429. The majority of the indigenous population is Muslim and most of them belong to the Shafi School of the Sunni Sect. The capital of Lakshadweep is Kavaratti. The islands are served by an airport on the Agatti island. The main occupation of the people is fishing and coconut cultivation, with tuna being the main item of export. Daman and Diu is a union territory in India. Diu District, an area of 40 km². The main settlement is the town of Diu. Daman District, an area of 28 sq mi or 72 km². The main settlement is the city of Daman. In the 2011 census, the lowest female to male ratio in India (618 females per thousand males) was recorded in Daman and Diu. The Daman district, with a female to male ratio of 533, is among the lowest of all the districts in India. For over 450 years, the coastal exclaves of Daman and Diu on the Arabian Sea coast were part of Portuguese India, along with Goa and Dadra and Nagar Haveli. Chandigarh is a city and union territory in India that serves as the capital of two states, Haryana and Punjab. The city was reported in 2010 to be the “cleanest” in India, based on a national government study, and the territory also headed the list of Indian states and territories according to research conducted using 2005 data by Human Development Index. 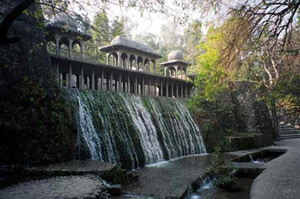 Chandigarh is located near the foothills of the Shivalik range of the Himalayas in northwest India. It covers an area of approximately 44.5 sq mi or 114 km². As of 2011 India census, Chandigarh had a population of 960,787 with metro population of 1,025,682, making for a density of about 7900 persons per square kilometer. Puducherry, formerly Pondicherry, is a Union Territory of India formed out of four enclaves of former French India and named after the largest, Pondicherry. The territory has a total area of 492 km²: Pondicherry 293 km², Karaikal 160 km², Mahé 9 km² and Yanam 30 km². It has a total population of 1,244,464 inhabitants (2011). 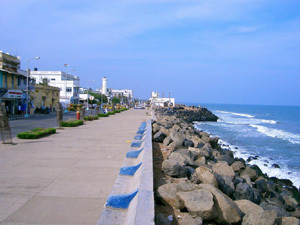 Puducherry still has a large number of Indian and a small number of non-Indian descent residents with French passports. Puducherry was the residence of Sri Aurobindo. The Sri Aurobindo Ashram still operates from Puducherry. Puducherry’s gross state domestic product for 2004 is estimated at $2 billion in current prices. Dadra and Nagar Haveli is a Union Territory in western India. The major spoken languages in the territory are Gujarati, Hindi and Marathi. The area of Dadra and Nagar Haveli is spread over 491 km2, landlocked between Gujarat to the north and Maharashtra to the south. 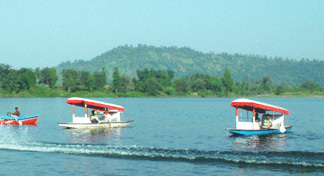 Silvassa is the capital of Dadra and Nagar Haveli and the total population is 342,853 people. About 43% of the land is under forest cover. The climate of Dadra and Nagar Haveli is typical of its type. Being near the coast, it has a maritime climatic conditions. Dadra and Nagar Haveli’s gross state domestic product for 2004 is estimated at $218 million in current prices. Delhi is a metropolitan region in India that includes the national capital city, New Delhi. The NCR includes the neighbouring cities of Baghpat, Gurgaon, Sonepat, Faridabad, Ghaziabad, Noida, Greater Noida and other nearby towns, and has nearly 22.2 million residents. The total area of Delhi is 1,484.0 km2 with a population of 12,565,901, making it the fourth largest city in the world. 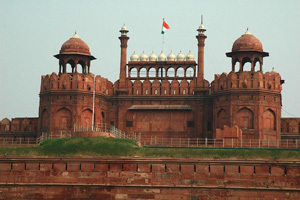 Delhi is famous for the archaelogical heritage of India, ancient forts and towers. 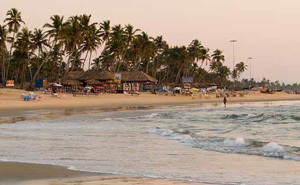 Goa is India’s smallest state by area and the fourth smallest by population. Panaji is the state’s capital, while Vasco da Gama is the largest city. 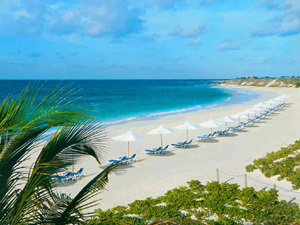 Goa encompasses an area of 3,702 km2, with a population of 1.344 million. Goa features a tropical monsoon climate. Goa’s gross state domestic product for 2007 is estimated at $3 billion in current prices. Goa is one of India’s richest states with the highest GDP per capita — two and a half times that of the country as a whole. A native of Goa is called a Goan in English, Goenkar in Konkani, goês or goesa in Portuguese and Govekar in Marathi. Sikkim is a landlocked Indian state located in the Himalayan mountains. With 610,577 inhabitants as of the 2011 census, Sikkim is the least populous state in India and the second-smallest state after Goa in total area, covering approximately 7,096 km2. Sikkim is the only state in India with an ethnic Nepali majority. Sikkim’s nominal state gross domestic product (GDP) was estimated at US$1.57 billion in 2012, constituting the third-smallest GDP among India’s 28 states. The Andaman and Nicobar Islands are a group of islands at the juncture of the Bay of Bengal and Andaman Sea, and are a Union Territory of India. 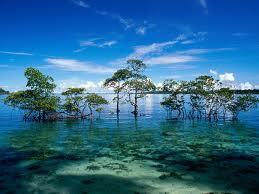 The territory’s capital is the Andamanese town of Port Blair. The total land area of the territory is approximately 8,073 km2. As of 2011 Census of India, the population of the Union Territory of Andaman and Nicobar Islands was 379,944, of which 202,330 (53.25%) were male and 177,614 (46.75) were female. Bengali is the dominant language and most spoken language in the Andaman-Nicobar Islands. 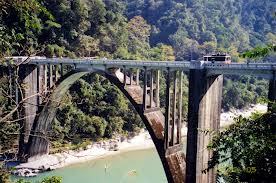 Tripura is a state in North East India. The third-smallest state in the country, it covers 10,491 km2. As of 2011, the state had 3,671,032 residents, constituting 0.3% of the country’s population. Indigenous communities, known in India as scheduled tribes, form about 30 per cent of Tripura’s population. 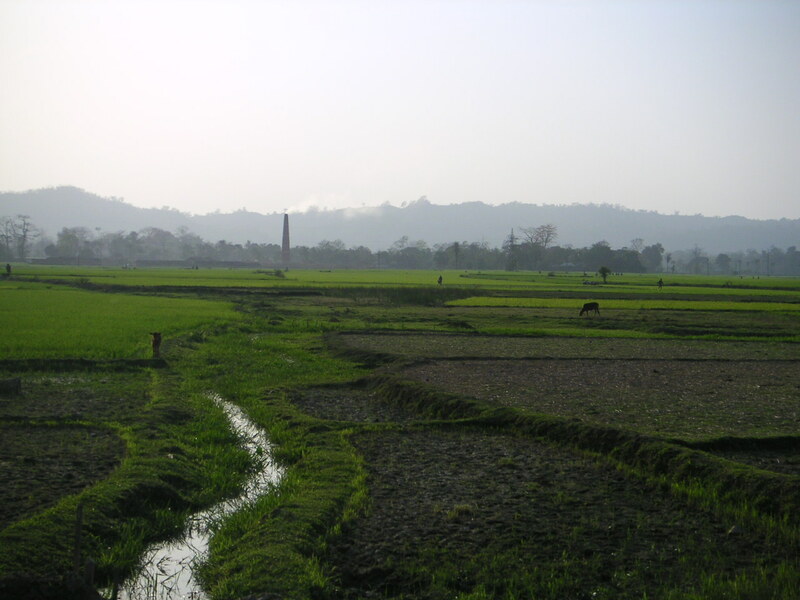 The capital and most populous city of Tripura is Agartala.